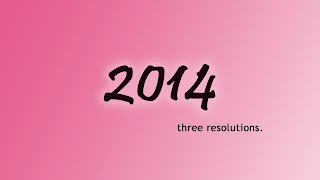 January 2nd is a good day to talk about New Year's resolutions. Most of us are back to work or school and our ability to make changes for the year is far more realistic. So what does 2014 hold for us as Christians, Catholics and seekers of God? Losing ten pounds? Working out? Quitting smoking? Maybe. Are these the things that the Lord requires of us? Maybe, but let's not let the demands of culture dictate our resolutions this year. Let's look to the Lord. Only in God do we fine newness and truth. When we look to God to effect conversion in our lives, we cannot be disappointed. That's our problem every year. We try to change ourselves to be better in the eyes of society, instead of turning ourselves over to God to be changed into something pleasing in the eyes of the Lord. So what does God require of us in the new year? We don't need to look any further than the Scriptures. The New International Version translates it as "to act justly and to love mercy and to walk humbly with your God", and that translation may be more familiar to you. Let's think about some resolutions based on these three simple requirements of God. In our day to day lives it is easy to not only forget those who are not treated justly in society, but also to forget the part we play in that. This year, identify a group of oppressed people and offer your year to them. Remember them in your prayers and make a real change in their interest. Maybe it is victims of human trafficking and slavery (btw, January is Human Trafficking Awareness Month). Around the world, people are forced into labor to create goods that people thoughtlessly consume (including you and I, sometimes). Women and children are sold into sexual slavery, children in West Africa are sold as slaves to work on chocolate plantations, and entire families in South Asia are held as slaves in collateral against loans. Boycott companies that you know participate in slavery or forced labor. Buy fair trade and local goods that you can trust. Learn more about slavery in the 21st century. Maybe it's women, children or minorities and immigrants. Support businesses that uphold the interests of the "widow, the orphan and the stranger", those three groups God commands us to serve and protect throughout the Old Testament. Volunteer at a local women's shelter or orphanage, and support just, fair and charitable immigration reform. In addition to major commitments like the above, make some personal changes too. Examine the prejudices in your life. Rid your language of sexism, racism or any other kind of hate. Treat your family justly. Be truthful at school and work. Make a point to give credit where credit is due. How can we show mercy to those in our lives? One of the most important ways we love is by showing mercy to people around us. Most people in our lives are aching for mercy, and we can each give it to them. Turn the conflicts in your life over to God, and ask for the grace to forgive. Some hurts are too painful for us to attempt to forgive them on our own, and God offers to take on those burdens. Let go of grudges - especially the ones you can't remember the causes of. Say prayers for people you've spent time and energy resenting. Be understanding when someone is occasionally rude or annoying. Don't let their rudeness result in bitterness from you and thus start a vicious cycle. Just let it go. Who knows, your mercy may help to heal whatever caused them to be rude in the first place. Be fair with your family. Don't disproportionately punish your kids or spouse for wrong doing. Don't be afraid to communicate when something really disappoints you, but let forgiveness and mercy be what dictates your encounters. Spend time in prayer for people who try your patience. Then take that a step further and spend physical time with them as well. Make a point to compliment them. Sometimes people who try our patience are caustic or difficult precisely because they have been rejected by others. Sometimes all they need is a little mercy and acceptance. Probably the most important thing God requires of us is humility. God so loved us that God humbled Godself and took on human form. Jesus' ultimate act of power was one of radical humility: death on a cross. It was through humility that Christ destroyed death and sin; not boasting and arrogance. Part of what gets in the way of humility is our sense of entitlement to certain indulgences. This is where losing ten pounds or quitting smoking may come in. God has given us our bodies so that we will care for and steward them. Out of "pride of ownership" do we abuse them through sloth or gluttony or lust? This year, identify an indulgence that you think gets in the way of your humility (maybe something you give up for Lent year after year? ), and try and kick the habit entirely. Is there an area in your life through which you boast your personal circumstances? Perhaps the clothes you wear or the gadgets you use show off your wealth or success. Perhaps your social media account has become less about communication with friends and family and more about sounding off about yourself. Think about that personal area of temptation for you and see if you can counteract it. Can you limit your time on social media, or limit yourself to only one platform? Can you try to shop at second hand stores for part of your wardrobe? Can you limit yourself to one device? We never do anything on our own. Most importantly, of course, we never do anything without God's help. But we also rarely do anything without the help of someone near us. Part of the "American dream" is a type of individualism that boasts starting from nothing and building one's own success. The reality is that this is a myth. We don't build our own successes. We are helped by our parents, our communities, our parishes and our local and state government. When we achieve something at work or at school, we almost always have someone else to thank for that success. Start meditating on your need for other people in all areas of your life. And when you're praised for your successes, start sharing the credit. You didn't do it alone.